MQA audio: What is it? How can you get it? | What Hi-Fi? MQA stands for Master Quality Authenticated - it's an audio technology making hi-res audio streaming a reality and was developed by the co-founder of Meridian Audio, Bob Stuart. But what is it, exactly? And why should you care? Music streaming services are becoming the main medium through which many of us listen to music. Last year, revenues from streaming accounted for 65 per cent of U.S. music industry revenues - and paid subscriptions are the biggest driver. Most music services, such as the market-leading Spotify, YouTube Music and Apple Music, offer standard, lossy compression music streams, whether 256kbps or 320kbps, AAC, MP3 or Ogg Vorbis. Some, such as Deezer HiFi, Qobuz and Tidal also offer higher, CD-quality lossless streams. But what about hi-res audio? The first service to offer hi-res streaming was Qobuz, through its Android app, and Tidal became the first to deliver hi-res audio streaming on desktop - it launched its Tidal Masters service at CES 2017. And it uses MQA technology to make it possible. So what is MQA audio? And how has it helped hi-res streaming become a reality? MQA aims to “fundamentally change the way we all enjoy music”. It’s a method of digitally storing recorded music as a file that’s small and convenient enough to download, or even stream, without the sonic sacrifices traditionally associated with compressed files. MQA claims its tracks use a similar bandwidth to that required for CD-quality streams. So if you’re able to stream Tidal’s hi-fi tier with relative ease then the new Tidal Masters tier using MQA shouldn’t be a problem. How can you listen to MQA? Rather than being a new file type to sit alongside FLAC, WAV et al, MQA files can instead be packaged inside any lossless container such as FLAC, WAV or Apple Lossless. You will need compatible hardware, such as a music streamer or portable music player, or software such as the Tidal desktop app, to decode the MQA files. And this is no pie-in-the-sky promise - the hardware is available. And, now we're four years into its existence, there's plenty of it. The Pioneer XDP-100R and Onkyo DP-X1 were among the first MQA-compatible portable audio players, and that's since been expanded to include the Pioneer XDP-30R, Onkyo DP-S1, Sony's flagship NW-ZX300 and WM-A40. Sony's MQA support continues with the £8000 DMP-Z1 digital music player (launched at IFA 2018) and its NW-A50 Walkman series. At IFA 2017, the LG V30 was officially announced as the first globally available smartphone with MQA, and the format has since found its way onto LG's G7 ThinQ. Technics's SU-G30 network streamer can also be added to that list, as can its forthcoming SL-G700 SACD player and network streamer, which made its debut in prototype form at IFA. The list goes on to include Bluesound's Generation 2 Award-winning multi-room streaming products, and hi-fi components by the likes of NAD, dCS, Moon by Simaudio, Mark Levinson and Audiolab. The full list of partners and list of products is only growing - recently, up-and-coming iFi announced MQA support across some of its range, as did TEAC. Thanks to firmware updates, AudioQuest's DragonFly Black and DragonFly Red DACs are MQA-enabled too. Select Meridian products can also play the format via software updates - these include the Explorer 2 USB DAC, Prime Headphone Amplifier, 808v6 Reference CD Player, 818v3 Reference Audio Core, Special Edition Loudspeakers and its 40th Anniversary Systems. If you have any of these devices, you can find the firmware updates here. Where can you find MQA music? If you don't have any of the above hardware, then you still have the simple option of the Tidal desktop app, which can decode and play Tidal Masters files, powered by MQA. Having re-branded its CD-quality HiFi tier, Deezer is the latest music streaming service to get in on the MQA action, too. With major music labels such as Universal, Warner Bros and Sony Music now partners of (and offering music in) MQA, we wouldn't be surprised if more music streaming services got in on the action too. Actual MQA music files are available from the likes of Highresaudio, Onkyo Music (powered by 7digital), and 2L, as well as e-onkyo music, Kripton HQM's store and groovers in Japan. If you're looking to play such purchased files through a PC or laptop, dedicated desktop music player software, such as Audirvana and Roon, also support MQA. 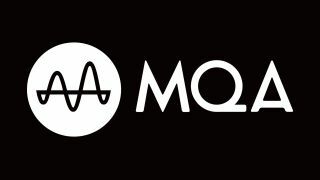 MQA is also promising “original quality” real-time concert streams with its Live technology, which MQA demonstrated at the Munich High End Show. The point of Live is to create a virtual gig experience, allowing people to listen to their favourite bands’ live performances in their “original quality” if they can’t attend the event themselves. To do this, MQA has made a live encoder box that connects to a venue’s audio system and is able to send what is being played to the chosen delivery platform of the venue. MQA claims the encoding process “preserves audio quality and addresses bandwidth issues”. MQA music can be played back on any device, although only MQA-supported products (of which there are now several, some of which are included above) and software will be capable of unpacking the MQA stream’s full quality. Whether this will actually land in people’s laps, and whether it will eventually be available within Tidal or Deezer is yet to be announced. While we’ve been able to get native hi-res audio support on Android devices from Samsung, Sony and LG, the Apple iPhone has only been able to properly play hi-res music via a third-party app and portable DAC. Rumours have long since suggested Apple is planning to deliver hi-res audio through Apple Music, but we aren't holding our breath. Instead, we've established an effective (if not particularly elegant) workaround. Could Apple one day use MQA and deliver hi-res music? It seems unlikely in the near future, but, as goes the expression, never say never. One thing's for sure, for anyone with an interest in audio quality, MQA is a technology that demands serious consideration.